When used together Retinol and Hyaluronic Acid are the perfect blend to help repair your skins elasticity, moisturize, smooth and uneven skin tones, reducing the appearance of fine lines, creases and wrinkles. Once finished using our masks, there is no need to rinse your face, simply massage leftover ingredients into your skin, leaving your face soft and glowing. 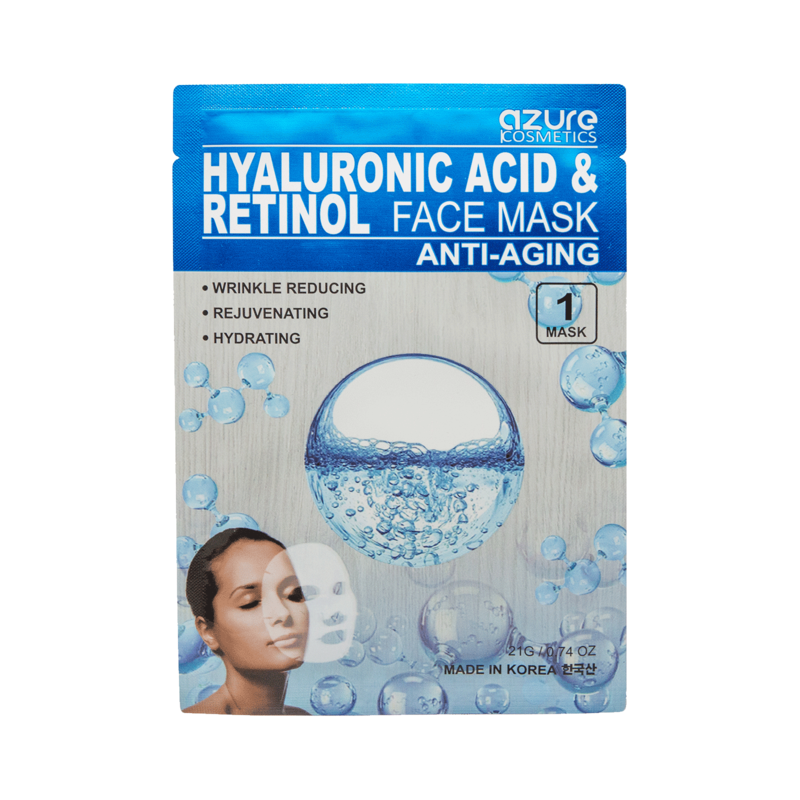 - Helps reduce appearance of wrinkles, hydrates and rejuvenates your skin.